We’ve been searching for the perfect platform to launch our new, online coaching program. And we’ve found it through TotalCoaching. Here at The Distance Project : Strength and Endurance Coaching, we believe in goal oriented training that produces tangible results. Changes that you can see, feel and take to task in both sport and life. When we accomplish a goal, whether it be a personal best deadlift or running our fastest mile, the ability to share it with others who are working just as hard on their own goals is priceless. Our new online personal training platform TotalCoaching, along with our social media pages and dedicated contact with myself and other team members, allows you to stay connected to the training center and be a part of the culture that we pride ourselves on. We’ve finally found the perfect partner at TotalCoaching. Through an interactive dashboard that allows athletes to track nutrition, training volume and personal goal attainment, TotalCoaching allows us to take our training philosophy – and our culture of community and camaraderie – to a larger group of athletes. Using the animated exercise bank that TotalCoaching provides, subscribers to our program will receive a visual accompaniment to each days training plan. They can also link to my coaching videos in order to review a detailed instructional video on each movement. 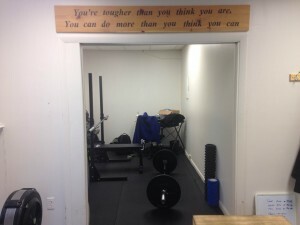 The ability to message me, send me video for technique feedback, and connect with the other athletes at our training center helps our members integrate into our awesome community and makes TotalCoaching a highly valuable resource not only for our own online personal coaching, but also for any trainers looking to include a distance coaching option to their current offerings. Thanks so much, TotalCoaching. We couldn’t be more excited to take our Strength Training for Runners program nationwide this year! We have seen athletes become friends while becoming stronger, fitter, faster versions of themselves. We have seen our ability to take movement education and skill to a higher level reflected in the progress of everyone who trains here. And, we are endlessly excited to grow our team through this exciting program. Come join our team at The Distance Project, and add a strength edge to your training today!